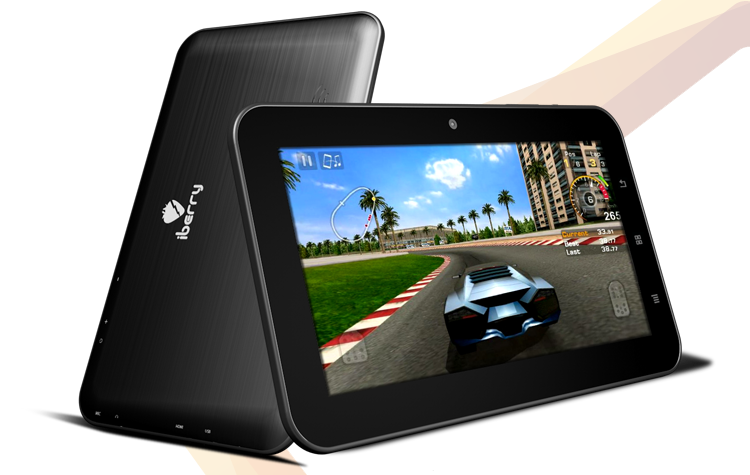 You can experience the Full HD 1080p movies on your tablet anywhere, anytime. Things just got better, you can also share your Full HD experience with your whole family & friends- just connect your iberry tablet to your TV via the dedicated HDMI port! Gone are the days when the ultimate experience of a game is just pressing a few buttons. Now play 3D games by actually being in the game! Steer your car by steering your iberry tablet. Experience the real-life thrill and excitement! Just because you are viewing a website from your tablet doesn't mean you should be viewing a stripped down version of the website. With latest Adobe Flash 10.3 support, iberry tablet just got better than your PC- A complete browsing experience! it connected and its working perfect. contrast text on pdf like files.rn7) Google play able to update all the apps . people say wrong that only few apps are upgradable by google play . i6012 costs 8000 ,zync 8500 ,Karbonn 7500 .Funbook 6500 . So better to get 4000mah battery with dual mali and good capactive touch built in 6000 only.